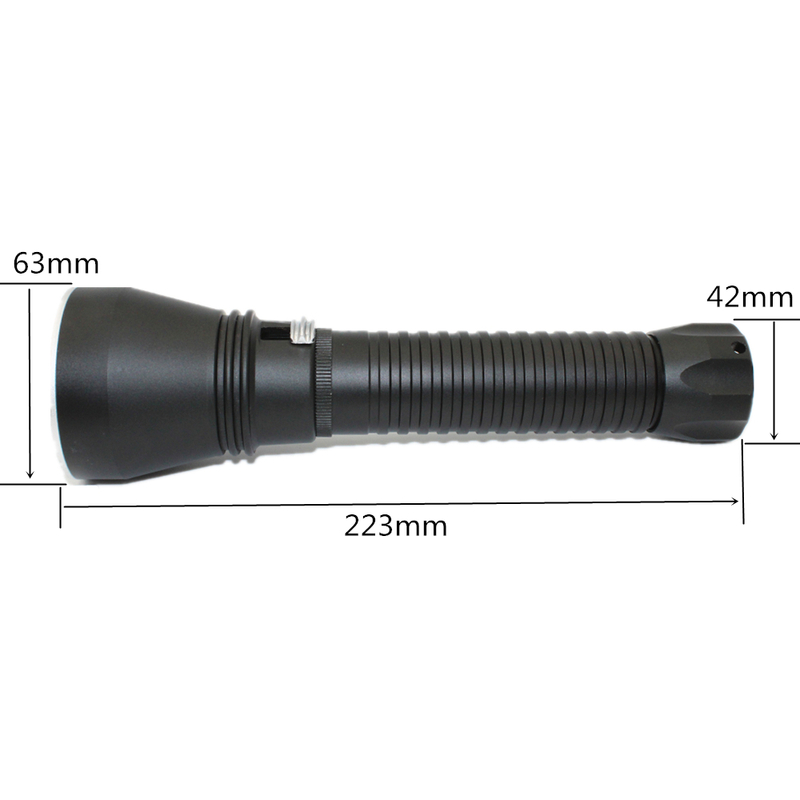 Super Brightness Cree XHP70 LED 4000 Lumens Tactical Flashlight26650 Torch Underwater 100M Waterproof. Note: The Cree XHP70 LED is high electric current consumption, if your 18650 battery have not enough output current, even our flashlight are in good condition, it can't working successfully due to not reach the minimum current requirement. 4.Clean, lubricate and inspect the O-rings, that would better for the flashlight's long-term use.